Abner Druckenmiller with Foxpro Hunting TV returns to the Eastern Shore of Maryland with Foxpro field staffers Jeremy Brown and Mike Burgess for nighttime thermal hunts. Albert Druckenmiller with Foxpro Hunting TV and his pals score big on the Maryland Eastern Shore at night with thermal imaging units and Foxpro callers. 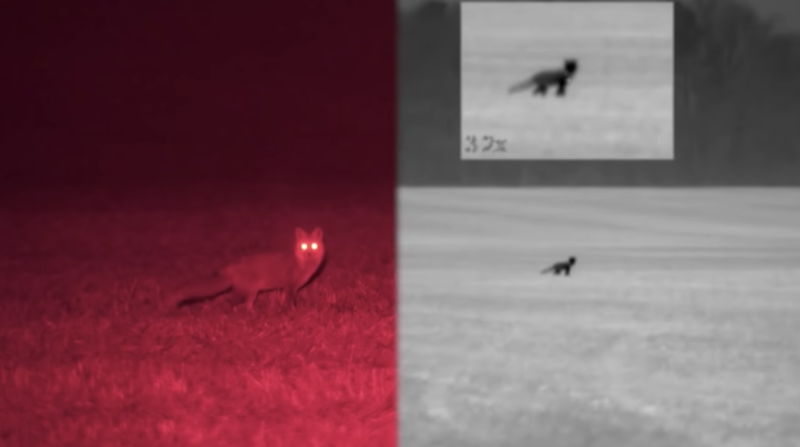 Thanks to the Pulsar Core RXQ-30 thermal imaging unit, the darkness becomes less mysterious. Druckenmiller, Brown and Burgess strike out for several hours in a few hot locations seeking fox, coyote or whatever's intersted in the calls. What do they find? You'll have to check out the video to see.